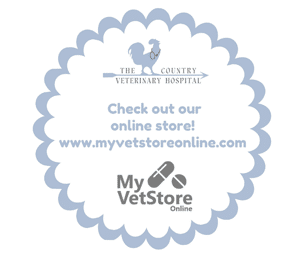 At The Country Vet, we provide modern, state-of-the-art care for your small animals in a country setting. We’re a full service animal hospital in Mocksville, NC. From routine and preventative care to advanced diagnostics and treatment, surgeries, and more, we strive to provide individualized treatment and care plans for your loved ones. After all, your pet is a member of your family! Our goal is to provide an inviting environment so you and your pet can focus on what’s important, whether it’s healing and recovery or watching your pet grow and thrive. We’re always happy to discuss your pet’s treatment and care options! Check back here frequently for updates regarding our animal hospital, fun facts, and more information about your pet’s health. Don’t forget to check our website for more information about our grooming, boarding, and daycare services.